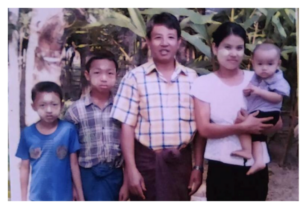 WILLS POINT, TEXAS (ANS) — Gospel for Asia (www.gfa.org ) is mourning the loss of one of its field-partner workers, village pastor Tun N, who has been reported dead after being abducted at gunpoint in Myanmar, formerly Burma. The tragic death of Tun N., aged 41, was confirmed Feb. 1. He was last seen alive when he was taken from his home the evening of Jan. 19. Latest reports say he was killed along with several others who had been taken by a rebel group. Pastor Tun’s abduction and death is the first incident of its kind for GFA-supported ministry in Myanmar, which represents more than 500 congregations. The church has made a significant impact in this country. For updates, visit http://www.gfa.org .